Home / Childhood Heroes Guidebook— 55 p.
As parents, grandparents, counselors and teachers, we know our best tool is a story. Learn how heroes can be a source of self-sabotage or of greatness. We can learn about ourselves by remembering which myths and stories we cherished as children. They showed us what was honored in our homes and communities, and those that fired our imagination and touched us deeply often remain imprinted on our minds. SCRIPTED FOR LIFE: Did you know that your childhood heroes from books, games, movies or role models affect you for your entire life? This makes alot of sense because we know our brain development is most dynamic starting from birth to school age. Whatever we experience in those formative years influences us for the rest of our lives. With this knowledge, we not only want to learn about how we have been affected by our childhood heroes ourselves but we also want to take care about what we offer our children and grandchildren. STORIES AS TEACHERS: We know that any adult can see and use the elements in kids’ stories, movies, books, TV, screen time and games. This program shows you how to select and mentor characters and stories as the kinds of teachers that are trustworthy for your family. UNIVERSAL TOOL FOR PARADOX: This work is most appealing because everyone has a favorite story or character regardless of age or culture. 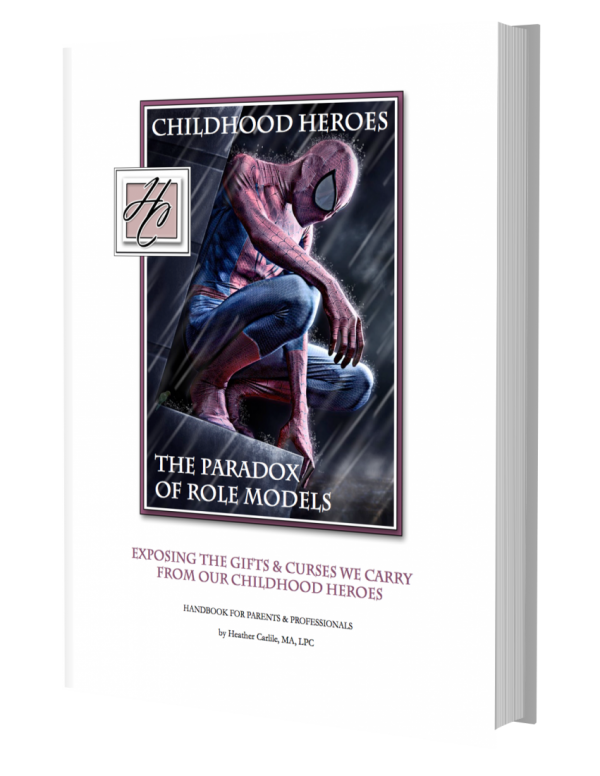 “Childhood Heroes: The Paradox of Role Models” teaches how to interrupt typical limitations or detriments and how to examine and use any element for constructive purposes whether or not it is positive or negative. AVOID DEFENSIVENESS: Looking at problems often connects with feelings of low self worth, anxiety, defensiveness or feeling victimized. Using stories this way, offers a way to approach inadequacies or difficulties without personalization and with correcting assumptions in the direction of goodness. UNCONSCIOUS LIFE SCRIPT: When we can identify the story or role in the present, it no longer holds us to an unconscious script. 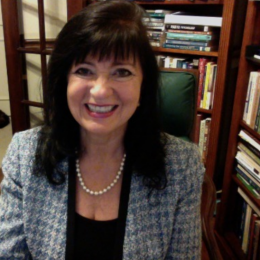 Heather takes you through clarifying how the characters assist young people with helpful role models and coping behaviors in developmental years. But, unless we reframe them for the lesson learned through hardship, we need to understand how they can hinder adolescent and adult development. FINDING THE CLUES: People may have one or more heroes or a group of characters which is one archetype such as in the superhero: Superman, Wonder Woman, The Hulk, Super Girl, Batman, Spider Man or any of the myriad characters from video games, manga or anime. Workshop participants practice by using their own or their children’s heroes with each other. Some may not have bonded with a character or a tale and, instead, had a pattern of play or outdoor activities. (You have probably seen a child set up a school classroom with stuffed animals!) We can even interpret stories from other countries and cultures. The audio book and CDs are also available. The best things about the class were Heather’s open style, her honesty with herself, her eagerness to teach. I will use everything! The approach, techniques, history. Her special way of evaluating one’s positive and negative life scripts relating to one’s heroes is sheer genius.